Now that the holiday season is upon us, we are all preparing to spend time with family and friends to share meals together and celebrate. It’s easy to let the hustle and bustle take away from the fun times with loved ones. 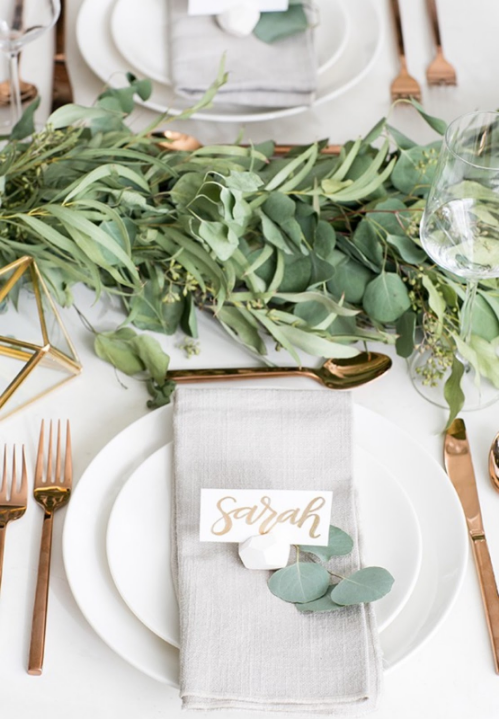 This year, we are committed to focusing on the time we spend with each other– try these simple tips to make your holiday table inviting to your guests without becoming an overwhelming task. Fresh seasonal greens from your own garden or local grocery warm up a table with casual elegance. Most floral departments offer an affordable bouquet of mixed greens (seeded eucalyptus, evergreens, blades) that are a versatile festive touch, throughout Thanksgiving to New Years. Consider adding in some hardy long-lasting favorites, like fresh rosemary, cranberries, and satsumas, which can be re-purposed later as a fragrant simmer pot. Fill a saucepan with water, sliced satsumas, rosemary twigs, and even a cinnamon stick. 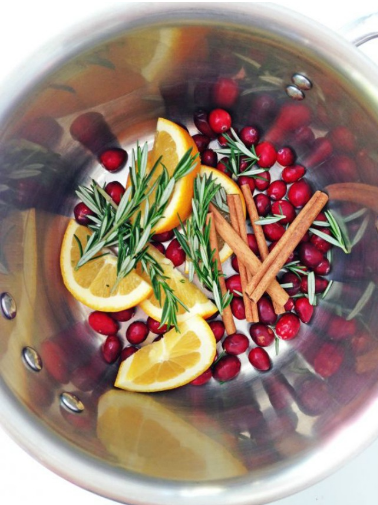 Allow to lowly simmer, adding water as necessary, and enjoy the clean and homey holiday fragrance! Low centerpiece arrangements allow for an easy flow of conversation. For seated dinners, it’s better to resist a tall airy arrangement that will block your guests from each other. Opt for something low, gathered, and intimate to encourage interaction. 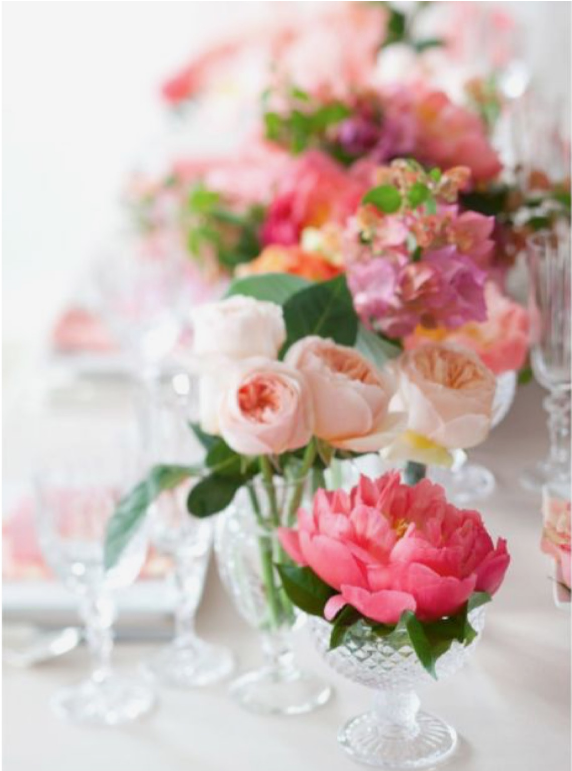 Camellias are starting to bud all over Baton Rouge– blooms tucked into champagne saucers or water goblets are colorful and effortless– plus offer another reason to use your wedding crystal! 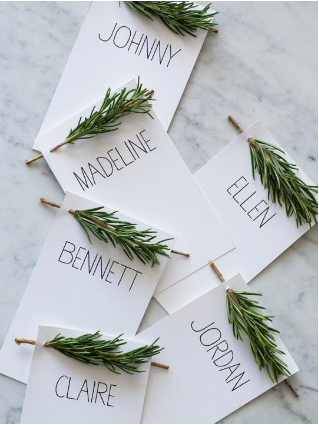 Handwritten name cards make each guest feel that their place at the table is special. Amid this hectic time of year, just remember that the time we spend together is more important than any decor details or etiquette book edicts. A gracious hostess is simply one who makes her guests feel welcome! We encourage you to create your own traditions and holiday gatherings this year– these are likely the moments we will remember more fondly than any present that could fit under the tree. 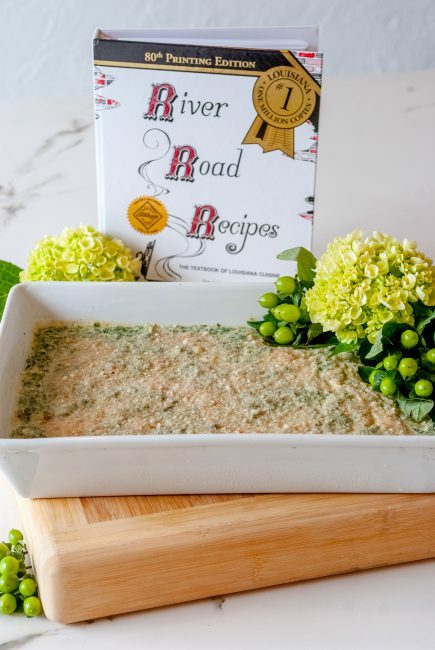 Happy holidays, from our River Road Recipes family, to yours!